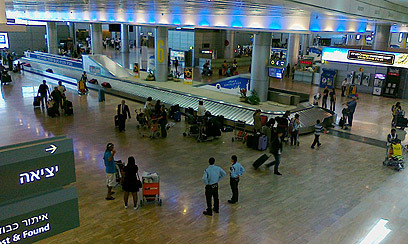 Receiving a stamp from the Border Police in the Ben Gurion Airport public restroom stalls in exchange for tens of thousands of shekels – that is the system which, according to suspicions was used successfully by a crime network to circumvent hold-departure orders, which were taken out against criminals and other citizens. Police have now arrested a number of suspects in the scandal, including a former Shin Bet officer and a police officer. 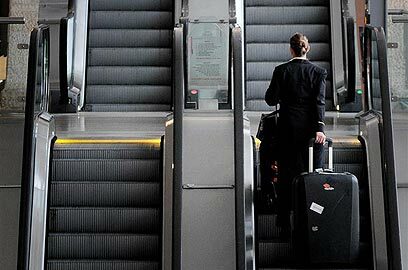 According to suspicions, the network also included a lawyer and private detective and used to locate people who were forbidden from leaving the country and help them on their way to getting their passports stamped. The suspects were arrested following an undercover investigation carried out by the Central District Police's fraud unit headed by Moshe Regev. The network's modus operandi included setting up meetings with the hopeful travelers at the airport. One of the customs agents would be taken to the restrooms where he would sign the passport control forms. The price – tens of thousands of shekels – was then divided between the suspects. Police believe that dozens and even hundreds of people managed to successfully beat the system and exit the country using the criminal system. So far, three main suspects have been arrested and police estimate that additional arrests are expected. The investigation began several months ago after a criminal who was returning to Israel was caught at passport control when it was revealed that his passport had no exit stamp. When he was interrogated he revealed how he was charged $15,000 which he paid out to a Shin Bet man and former police officer who now runs a private investigation firm, after they helped him leave the country. The former Shin Bet man met the criminal, explained how the smuggling process would go ahead and told him: "Wait for me on the departure day in the restaurant." At the airport the criminal was accompanied by the suspect from start to finish. He was taken to the restrooms where he received a signed pass from the customs agent. The criminal and the suspect then made their way to the border crossing and boarded their flight, at which point money would change hands. The criminal's testimony led Central District Police Commander Bentzy Sow to launch a comprehensive investigation into the phenomenon. This led police to launch the undercover investigation. See all talkbacks "Payoff scandal clouds Israel's airport security "